Situated on the southernmost part of the Costa Brava, the charming seaside resort of Tossa de Mar is a popular day trip from Barcelona. 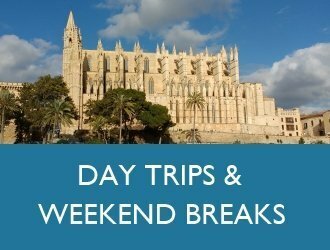 Tossa’s attractions include sandy beaches and a picturesque old town whose narrow streets are lined with restaurants and bars. Not to mention the impressive 12th century medieval castle or Vila Vella. Once an enclave of artists and intellectuals, Tossa became a popular holiday destination during the 1950s when it appeared in the film Pandora and the Flying Dutchman starring Eva Gardner and James Mason. Nowadays the town is popular with both Spanish and foreign tourists but has largely escaped the excesses associated with other resorts. 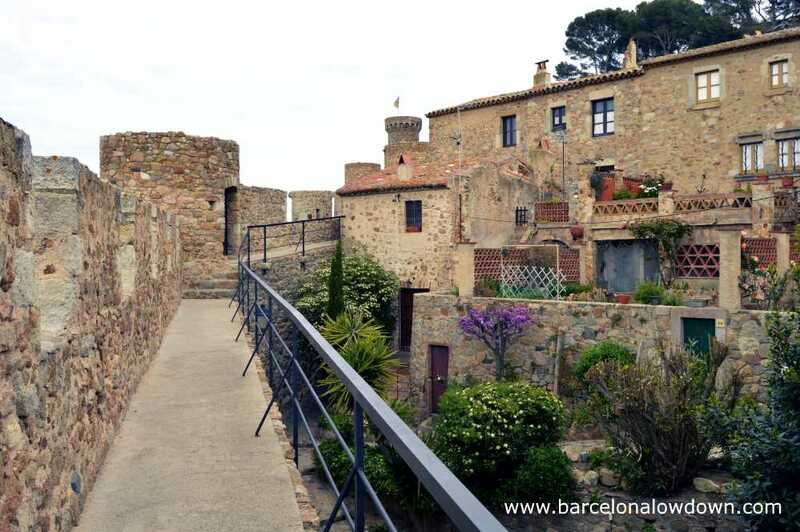 Any visit to Tossa de Mar inevitably starts at the Vila Vella which is the only remaining medieval walled town on the Catalan coast. Entering the historic old town by the arched gateway you can explore the narrow cobbled streets and take a walk along the fortified stone walls. 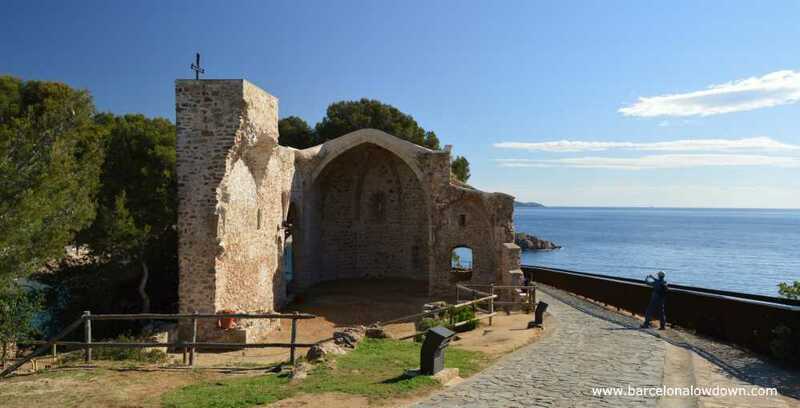 A winding path leads up past the ruins of the Gothic styled Church of Sant Vicenç to Tossa Lighthouse which was built in 1917. The 10m high lighthouse contains a small museum and affords excellent views of the Mediterranean coast. During the 16th century Philip II built defensive watchtowers at strategic points along the Spanish coastline to defend against marauding pirates from North Africa. If attackers were spotted a fire was lit to send a warning which was then relayed from tower to tower. The three storey Can Magí Tower (Torre de Can Magí, also known as Torre des Moros) is a short walk from the Vila Vella (see map below). The Els Ametlleres Roman villa dates back to the first century AD and was one of the most important Villas in the Roman province of Tarraco. The ruins were discovered in 1914 and entry to the site is free. 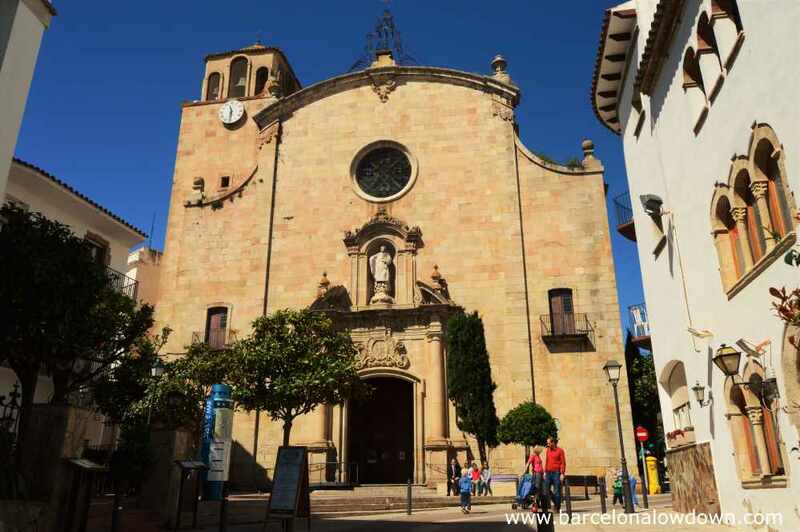 Tossa’s small Municipal Museum is located inside the Vila Vella walled town. 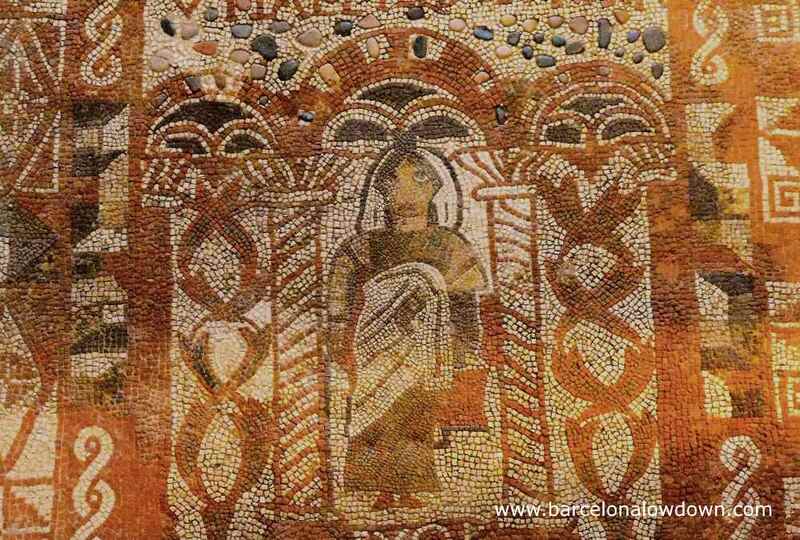 The first floor of the museum is dedicated to the history of the Els Ametllers archaeological site and includes a mosaic which was recovered from the villa. 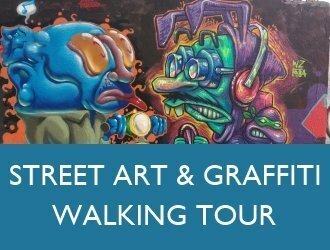 The museum also houses an interesting collection of paintings and sculptures by artists who were either born in the area or lived in the town. Platja d’es Codolar – A small cove which can be reached from the Vila Vella. 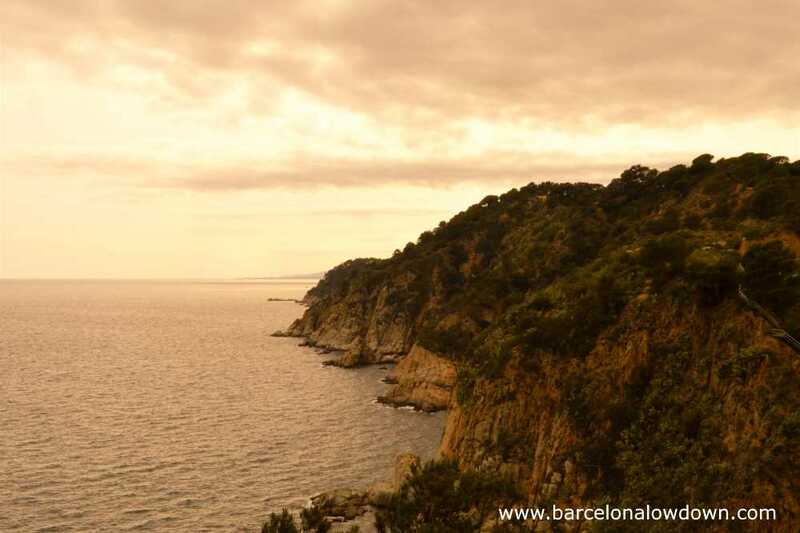 FondoCristal operate hour long boat trips to the coves and caves north of Tossa de Mar. The small glass bottomed boats depart from the main beach where there are two ticket kiosks. If your staying in Tossa during the week (Monday to Friday) and fancy a bit of exercise then you could volunteer to take a dog from the dog rescue centre for a walk. 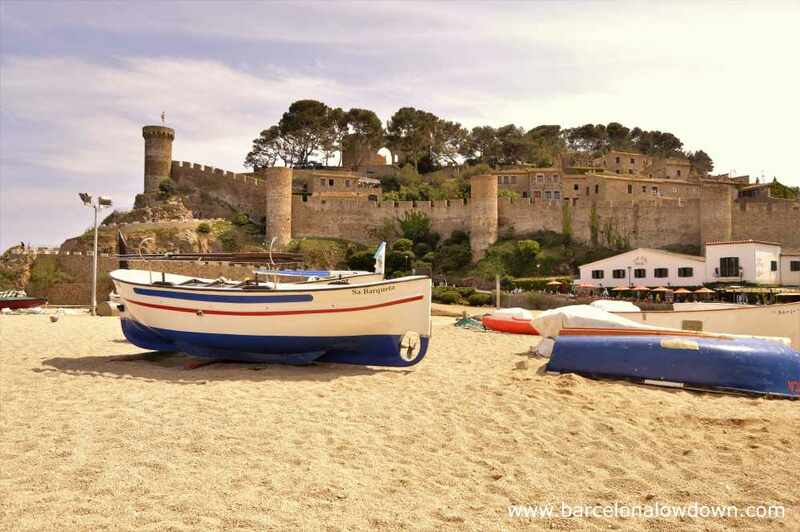 Tossa de Mar was settled during the Neolithic period and was colonised by the Romans during the first century AD. During the 12th century the town was under the jurisdiction of the Monastery of Ripoll and Tossa castle and the Church of St Vincent were built on the top of mount Guardi. The battlements and towers surrounding the walled town also date back to this period. During the 15th and 16th centuries the town’s population increased and houses were built outside the fortified Vila Vella. The town remained largely unchanged until the arrival of tourism during the 1950s. Despite the wealth of restaurants in Tossa, there are no vegetarian restaurants nor restaurants which specifically cater for vegetarians. Having said that, you will have no trouble finding vegetarian dishes such as Paella de Verdures, Escalivada (roasted vegetables) and Canelons d’Espinacs (Spinach Cannelloni) which are available in most restaurants. 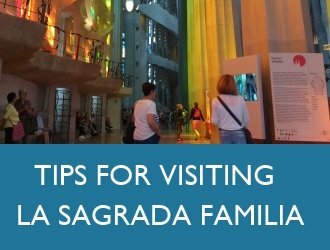 If you aren’t familiar with Spanish food I suggest you read this article which will help you find vegetarian food while travelling in Spain. There are also plenty of pizzerias in Tossa. The best we found was Pizzeria Anna (Pont Vell No. 13) which had a larger than usual selection of delicious thin crust vegetarian pizzas including Roquefort, walnuts and honey. They also serve an excellent lemon sorbet. 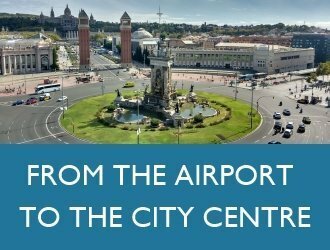 Sarfa run 12 buses daily from Barcelona Airport and Barcelona Estacio del Nord to Tossa de Mar. The journey takes one hour and twenty minutes. Timetable and prices here. 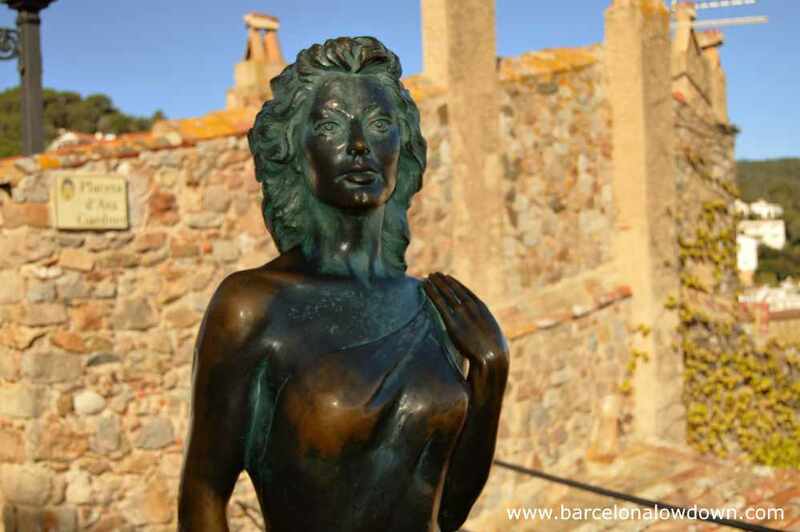 In my opinion, the best way to get to Tossa de mar by public transport is to take the train to Blanes and then a bus from there to Tossa. The R1 train line follows the coast running right alongside the beach and takes an hour and a half to get to Blanes. Buses meet the trains and take 40 minutes to travel from Blanes to Tossa de Mar. The entire journey takes about two hours which is slower than the direct bus, but there are more frequent departures and the journey is more scenic. Train and bus timetables here and here. 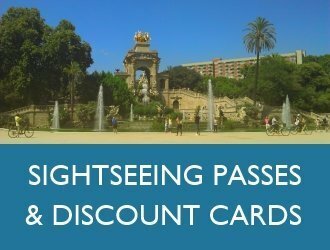 You can purchase a combined ticket at train stations in Barcelona which is slightly cheaper than purchasing tickets separately. Note: Buses which leave Blanes train station at ’50 go via Lloret to Tossa de Mar. Buses which leave at ’20 terminate at Lloret de Mar bus station where you have to change to another bus which goes to Tossa. The journey takes the same amount of time whichever you catch. 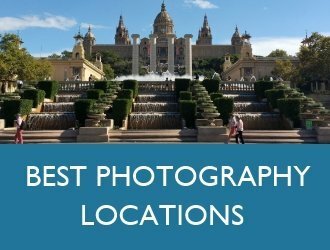 It takes around an hour and twenty minutes to drive from Barcelona to Tossa de Mar via either the C32 or the AP7 motorway. There’s a large car park next to the main beach (Platja Gran). Zoom in to see the locations mentioned in this article. 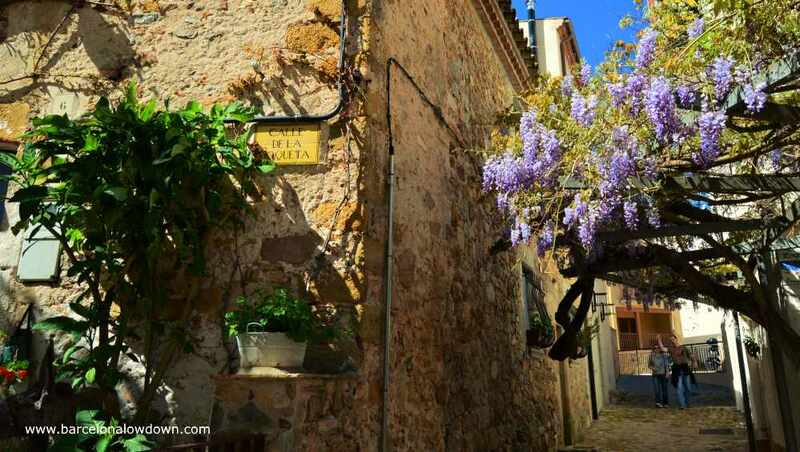 Besalú – A Medieval Gem in the Heart of Catalonia Cadaqués and Salvador Dalí’s House in Portlligat Sitges in Winter You’ve Just Gotta Love The Weather !